A sea of red in the cryptocurrency space after an announcement from the SEC that it was delaying a decision on a Bitcoin ETF (Van Eck/SolidX) for another month sent prices pinning lower. Yet the decision – purely procedural – was expected by many in the market, prompting questions over the severity of the sell-off. The cryptocurrency market has been weak across the board in recent days withsupport levels falling with ease and rebounds sold into . The latest sell-off has seen around $25 billion wiped off the cryptocurrency market capitalization, which now stands at $232 billion, down from a $810 billion+ peak at the height of the crypto craze in January. Double-digit losses were also made by a wide range of alt-coins, giving back a majority of their recent gains. 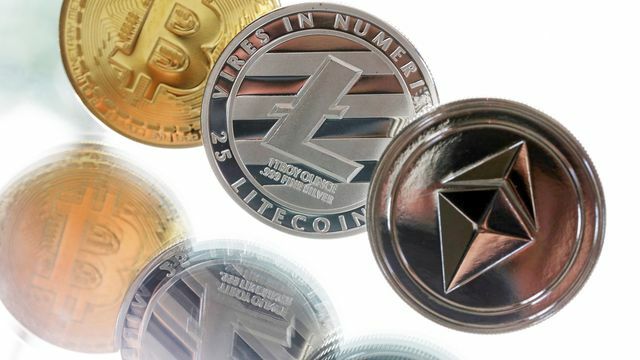 We will be covering Bitcoin, Ripple, Ethereum and a range of other cryptocurrencies, at our Weekly Cryptocurrency Webinar on today (Wednesday) at 12:00pm. The chart below shows a classic head and shoulders pattern taking place in the largest crypto, suggesting lower prices ahead. A close below $6,438 will leave the market looking at $5,932 and $5,622 and both levels could be made quickly if the negative sentiment persists. Ripple has slumped overnight, breaking noted support at $0.425 with ease . The four-hour chart set-up shows little or no technical support and we need to go back to December 12 to find potential support. There is a gap on this candle between $0.35 and $0.28 which needs to be filled with the next level of any technical significance the start of the XRP rally – all the way up to $3.30 – at $0.205. Another crypto nearing an important support level with ETH looking at the $359 double-low made on April 1 and April 6 as the last line of defense until lows between $ 2 80 and $260 made at the end of last year come into play. There is also a strong possibility that ETH may give back all of its September – January rally and trade back around $200.